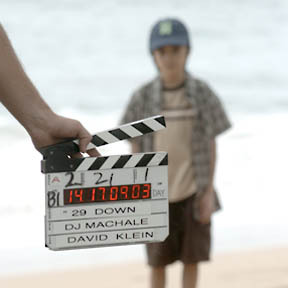 The youngest castaway of NBC kids' drama "29 Down," 8-year-old Allen Alvaradod, was ready for a scene on the beach on the first day of filming Wednesday. »Action! Filming begins on "29 Down"